Please carefully read these Terms of Service for users of the website www.CTESkills .com (the “Site”) and the Content (as defined below) provided therein before accessing or using the Site. The Site is owned and operated by CTE Skills . By accessing or using the Site in any way, you agree to and are bound by the terms and conditions set forth in this document (the “Agreement”). If you do not agree to all of the terms and conditions contained in this Agreement, please do not access or use the Site. CTE Skills reserves the right to modify this Agreement at any time and to notify you of such modifications by an announcement on your login page or via email. If you do not agree with any of the changes, please do not access or use the Site. All video, images and other content on the Site (collectively the “Content”), as well as the selection and arrangement of the Content, are protected by copyright, trademark, patent, trade secret and other intellectual property laws and treaties (collectively, “Intellectual Property Laws”). Any unauthorized use of any Content may violate such laws and this Agreement. Except as expressly provided herein, CTE Skills does not grant any express or implied permission to use any Content. You agree not to copy, republish, download, transmit, modify, adapt, create derivative works based on, rent, lease, loan, sell, assign, distribute, display, perform, license, sublicense or reverse engineer the Site or any of the Content. Certain Content may only be made available to users who pay CTE Skills a fee and/or enter into an agreement to use that particular Content. All group membership registration is limited to 30 users per group license unless permission is otherwise granted by CTE Skills. Your subscription to CTE Skills (“Subscription”) may begin with a free trial (“Free Trial Period”). The Free Trial Period lasts for three (3) days, or as otherwise specified during sign-up. A Free Trial Period may only be combined with other offers expressly made by CTE Skills , if and when such offers are available. You must have Internet access and use a valid accepted payment method (e.g., credit card) (“Payment Method”) to activate a Subscription. CTE Skills periodically offers a number of membership plans, including special promotional plans, subscriptions or memberships. By starting your Subscription, you are expressly agreeing that CTE Skills is authorized to charge you a Subscription fee to the Payment Method you provided during registration. Please note that prices and charges are subject to change with notice. As used in this Agreement, “billing” shall indicate a charge or debit, as applicable, against your Payment Method. CTE Skills shall be under no obligation to refund any Subscription fee under any circumstances. However, in the event that CTE Skills , in its sole discretion, determines that you are entitled to a refund of all or part of a Subscription fee, such refund shall only be made to the credit card or bank account originally used by you to purchase your Subscription. For the purposes of this Agreement, the term, “Trademark(s)” means all common law or registered trademarks, logos, service marks, trade names, Internet domain names, or other indications of origin used now or in the future by CTE Skills . Nothing contained herein grants or shall be construed to grant you any rights to use any CTE Skills Trademark, unless expressly conferred by this Agreement. You agree that you will not use CTE Skills Trademarks in any manner that might tarnish, disparage, or reflect adversely on such Trademarks or CTE Skills . You agree that you will not contest or otherwise challenge (e.g., in any legal action or otherwise), or assist or encourage any other person or entity to contest or challenge, the validity of any of CTE Skills Trademarks or the Trademark rights claimed by CTE Skills . You agree that you will not use any CTE Skills Trademark or any variant thereof (including misspellings) as a domain name or as part of a domain name regardless of the top-level domain, or as a metatag, keyword, or any other type of programming code or data. You may not at any time, adopt or use, without CTE Skills ’s prior written consent, any word or mark which is similar to or likely to be confused with CTE Skills Trademarks. The look and feel of the Site, including all page headers, custom graphics, button icons, and scripts, is the trade dress and/or trademark or service mark of CTE Skills and may not be copied, imitated or used, in whole or in part, without the prior written consent of CTE Skills . All other trademarks, product names, and company names or logos used or appearing on the Site are the property of their respective owners. Reference to any products, services, processes or other information, by trade name, trademark, manufacturer, supplier or otherwise does not constitute or imply endorsement, sponsorship or recommendation thereof by CTE Skills , unless expressly so stated. You may not use a CTE Skills trademark, logo, Image or other proprietary graphic of CTE Skills to link to the Site without the prior written consent of CTE Skills . If you believe that any Content or other material made available by CTE Skills infringes a copyright that you own or control, you may notify CTE Skills in the manner set forth in CTE Skills DMCA Copyright Infringement Notice Policy. Engage in any conduct that shall constitute a violation of any law or that infringes the rights of CTE Skills or any third party. Violate any applicable laws or regulations related to the access to or use of the Site, or engage in any activity prohibited by the Agreement. Violate the rights of CTE Skills or any third party (including rights of privacy and publicity) or abuse, defame, harass, stalk or threaten another person or entity. You may not download, copy, distribute, and/or publish any Content without the prior written consent of CTE Skills . You may not remove any watermarks or copyright information contained in the Content. CTE Skills reserves the right to revoke this license at any time for any reason. You may not frame or hotlink to the Site or any Content without the prior written consent of CTE Skills . 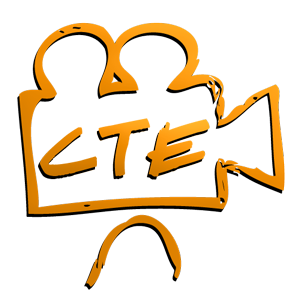 If an embed function is made available by CTE Skills , you may embed previews of CTE Skills Content on another website owned or operated by you, or on a third party site. Such preview must be accompanied by a link back to the Content available on the Site. You may not use manual or automated processes, software, devices, scripts, or robots to access, “scrape,” “crawl” or “spider” any pages or services contained in the Site. CTE Skills may block, restrict, disable, suspend or terminate your access to all or part of the Site and Content at any time in CTE Skills ’s discretion, without prior notice or liability to you. IN THE EVENT THAT YOU BREACH ANY OF THE TERMS OF THIS OR ANY OTHER AGREEMENT WITH CTE Skills , CTE Skills SHALL HAVE THE RIGHT TO TERMINATE YOUR ACCOUNT WITHOUT FURTHER NOTICE. SUCH TERMINATION SHALL BE IN ADDITION TO CTE Skills ’S OTHER RIGHTS AT LAW AND/OR EQUITY. CTE Skills SHALL BE UNDER NO OBLIGATION TO REFUND ANY FEES PAID BY YOU IN THE EVENT THAT YOUR ACCOUNT IS TERMINATED BY REASON OF ANY SUCH BREACH OR BREACHES. IN THE EVENT THAT CTE Skills PROVIDES LINKS FROM THE SITE TO ANY THIRD-PARTY WEBSITE OR PERMITS ANY THIRD PARTY TO LINK TO THE SITE FROM A THIRD PARTY WEBSITE, YOU SHOULD BE AWARE THAT CTE Skills MAKES NO WARRANTY OF ANY KIND, EXPRESS OR IMPLIED, AND ACCEPTS NO RESPONSIBILITY FOR ANY CONTENT OR PRACTICES OF SUCH THIRD PARTIES OR THEIR WEBSITES. SUCH WEBSITES ARE NOT UNDER THE CONTROL OF CTE Skills , AND CTE Skills PROVIDES AND/OR PERMITS THESE LINKS ONLY AS A CONVENIENCE TO YOU. THE INCLUSION OF ANY LINK DOES NOT IMPLY AFFILIATION, ENDORSEMENT, OR ADOPTION BY CTE Skills . (iv) ANY ERRORS OR DEFECTS IN THE SITE, SERVICES OR MATERIALS WILL BE CORRECTED. NEITHER CTE Skills NOR ANY OF ITS OFFICERS, EMPLOYEES, MANAGERS, MEMBERS, SHAREHOLDERS, DIRECTORS OR SUPPLIERS SHALL BE LIABLE TO YOU OR TO ANY OTHER PERSON OR ENTITY FOR ANY GENERAL, PUNITIVE, SPECIAL, INDIRECT, CONSEQUENTIAL OR INCIDENTAL DAMAGES, OR LOST PROFITS OR ANY OTHER DAMAGES, COSTS OR LOSSES ARISING OUT OF YOUR USE OF THE SITE OR THE CONTENT, EVEN IF CTE Skills HAS BEEN ADVISED OF THE POSSIBILITY OF SUCH DAMAGES, COSTS OR LOSSES. You agree to defend, indemnify and hold harmless CTE Skills , its subsidiaries, affiliates, licensors, employees, agents, third party information providers, submitters of Content and independent contractors against any claims, damages, costs, liabilities and expenses (including, but not limited to, reasonable attorneys’ fees) arising out of or related to your conduct, your use or inability to use the CTE Skills website, your breach or alleged breach of the Agreement or of any representation or warranty contained herein, your unauthorized use of the CTE Skills Content, or your violation of any rights of another. Any legal action or proceeding concerning the validity, interpretation and enforcement of this Agreement, matters arising out of or related to the Agreement or its making, performance or breach, or related matters shall be brought exclusively in the courts of the State of Texas in the County of Jefferson, or of the United States of America for the Eastern District of Texas, and all parties consent to the exclusive jurisdiction of those courts, waiving any objection to the propriety or convenience of such venues. The United Nations Convention on Contracts for the International Sale of Goods does not apply to or otherwise affect this Agreement. The validity, interpretation and enforcement of this Agreement, matters arising out of or related to this Agreement or its making, performance or breach, and related matters shall be governed by the internal laws of the State of Texas (without reference to choice of law doctrine). This Agreement shall be construed neither against nor in favor of any party, but rather in accordance with the fair meaning of the language hereof. The invalidity or unenforceability of any part of this Agreement shall not affect the validity or enforceability of the balance hereof. If any part of this Agreement is held void or unenforceable, it shall not affect the validity of the balance of the Agreement. This Agreement shall be binding upon and shall inure to the benefit of each party and their respective legal representatives, successors in interest and permitted assigns.